In today’s ever-changing construction market new materials, technologies, regulatory approvals and environmental regulations have made the process increasingly complex. Yet client requirements for quality projects, stringent budget and time parameters remain unchanged. That is why it is a wise and prudent decision for owners, managers, mortgagors and buyers to know the exact conditions and costs associated with a parcel which they own or are considering to purchase. Subsequently, having a professional licensed, fully insured plumber investigate and initiate a customized detailed survey encompassing all the necessary information relative to existing and future plumbing, conditions including mechanical, wet/dry fire systems, boilers, pump systems, piping etc. is essential. Environmental surveys are instituted when necessary to assure regulatory compliance and have any existing or potential violations brought to an owner’s attention and have them removed. 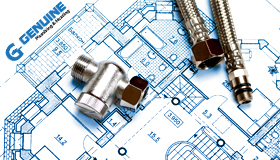 Plumbing issues such as renovation or alterations, work which was done without the owner’s knowledge must be resolved, and the condition filed with the appropriate agency so that the C of O reflects the correct space and usage. A public records search and investigation of existing violations and remedy’s for their removal is made. A report of potential future deficiencies accompanied by a photo journal is made. Along with this report an in-depth analysis of recommendations for various options of remediation, design concepts when required and budget estimates that include an overall cost summary and associated filing fees is made. Taking a project from concept stage, through feasibility and schematic design and then through construction, demands sophistication, technical excellence, resourceful management and reliable innovative systems. All projects, large or small, demand close detailed control. At GPH we establish the project scope, its projected cost, optimal strategy, and a schedule. We keep our projects on track, continuously evaluating the actual versus projected status of each project parameters. Keeping our client abreast of progress, we constantly inform you of the project status and immediately developing plans for unforeseen problems. We understand the benefits and importance of personal involvement. Information and communication is the key. Communication begins with understanding, and we at GPH offer personal experience and a forceful work ethic that has proven extremely effective in undertaking demanding projects, but most importantly in satisfying our clients. Making certain your next project is a success we invite you to consider our capabilities and performance. We invite you to join our growing list of satisfied repeat clients.